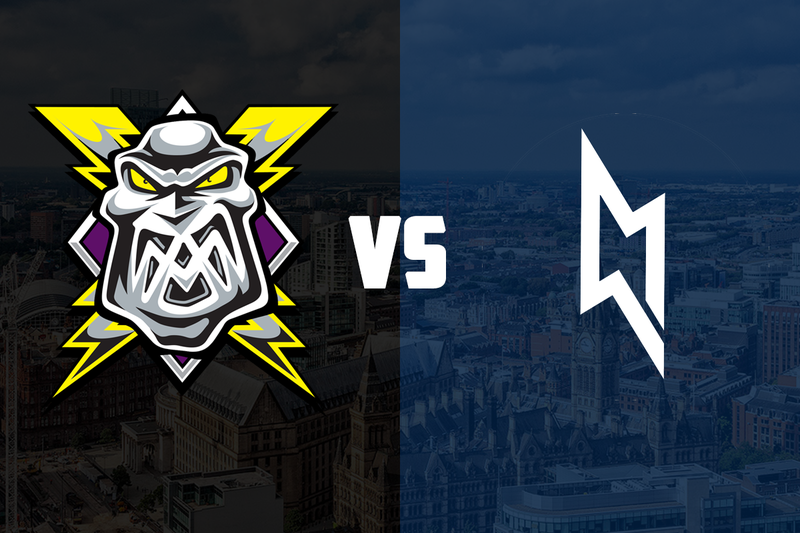 Next up for your Go Goodwins sponsored Manchester Storm is a mid-week trip to Milton Keynes to take on the Lightning this Wednesday in a huge Patton conference clash that faces off at 7:45 pm. As the season moves into its final third, the race for the conference title is heating up as the Storm lead the pack, however both Guildford and Coventry have games in hand. Just six points separates first placed Manchester and fourth-placed Coventry who have two games in hand over the Storm. Guildford are currently in second place, five points behind the Storm with 14 but they have four games in hand. Milton Keynes separate the Flames and the Blaze with 14 points from 17 games. Both sides were in action at the weekend as the Storm split two home games against the Braehead Clan, while Lightning overcame the Sheffield Steelers at home before going down in Guildford on Sunday night. A third period stumble by the Storm on Saturday saw the Clan end up winning 4-3, however it was a different story on Sunday night as the Storm ran out 5-2 winners over the Clan. Goals over the weekend came from Matt Beca, Matt Stanisz, Nate Fleming, Scott Pitt, Ciaran Long, and Mike Hammond. With an assist in each game, Luke Moffatt extended his point streak to 10 consecutive games, scoring 16 points in total. It was a big victory for the Lightning on Saturday, as they beat the Steelers 5-2 at home to end a 4-game losing streak. Goals from Doucet, Verreault-Paul, Hook, and two from Kevin King were enough to dispatch the Steelers. MK ran out to a 2-0 lead on Sunday in Surrey, before three third period goals from the Flames ended Lightning’s hopes of a 4-point weekend. The Lightning and the Storm have already faced each other six times this season, 4 times in Manchester and twice in Milton Keynes. Both of the previous meetings in Milton Keynes have resulted in 3-2 victories for the Lightning, as the Storm have been unable to gain any points. The reverse has been true in Altrincham, where Storm won all 4 games, albeit MK took one to overtime. Top scoring for the Storm has been Mike Hammond, with 8 points in 6 games, while Dane Byers has been the playmaker, assisting on 7 goals in 5 games. Francis Verreault-Paul and Denny Kearney have each found the net 3 times against the Storm, Verreault-Paul adding 4 assists as well. The Storm will need to pay attention to the Lightning powerplay, which has converted on 22.41% of their opportunities, the fourth best powerplay in the league. Storm sit in seventh in the powerplay rankings, with a 20.25% conversion rate. Storm lead the league in shorthanded goals, scoring 9 times when a man down. The Lightning have scored 5. One to watch: Henry Pacl was bought in last week due to an injury to starting netminder Miika Wiikman. The enthusiastic netminder made an impression last season with the Panthers and has made a good start to his Lightning career.